Home › 70's Cinema › Political Chaos 2016! 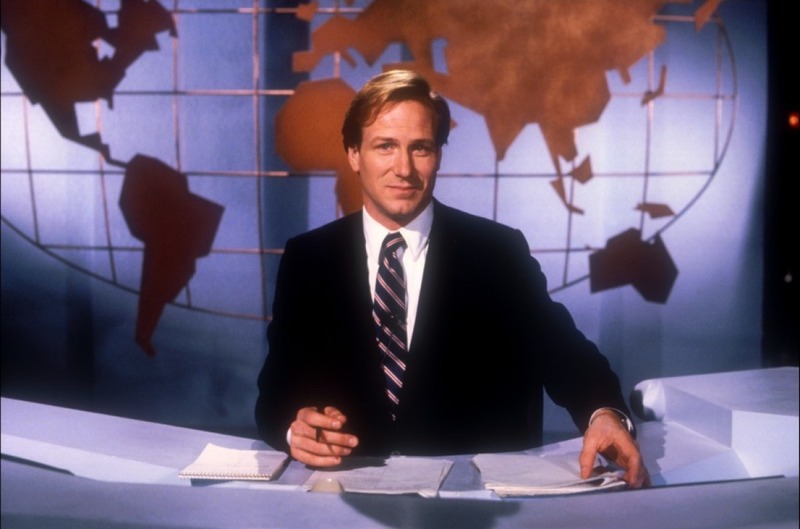 “Network” And “Broadcast News” Nailed It! “This Town” Confirms The Shenanigans! Political Chaos 2016! “Network” And “Broadcast News” Nailed It! “This Town” Confirms The Shenanigans! William Hurt, Holly Hunter and Albert Brooks star in this terrific film. This movie takes an incisive look at the changing world of television News. 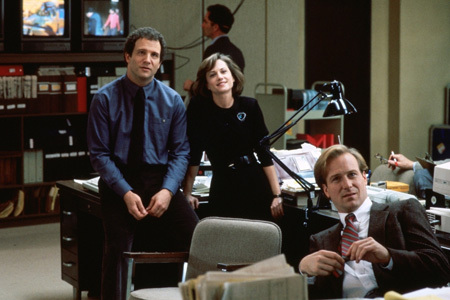 Albert Brooks plays a bitter network News Reporter who watches as Tom Grunick, played by William Hurt, gets promoted based solely on his looks. “I believe that Tom, while a very nice guy, is the Devil…what do you think the Devil is going to look like if he’s around? Nobody is going to be taken in if he has a long, red, pointy tail. No. I’m semi-serious here. He will look attractive and he will be nice and helpful and he will get a job where he influences a great God-fearing nation and he will never do an evil thing… he will just bit by little bit lower standards where they are important. Just coax along flash over substance… Just a tiny bit. And he will talk about all of us really being salesmen. Sound familiar amid the political discourse of 2016? 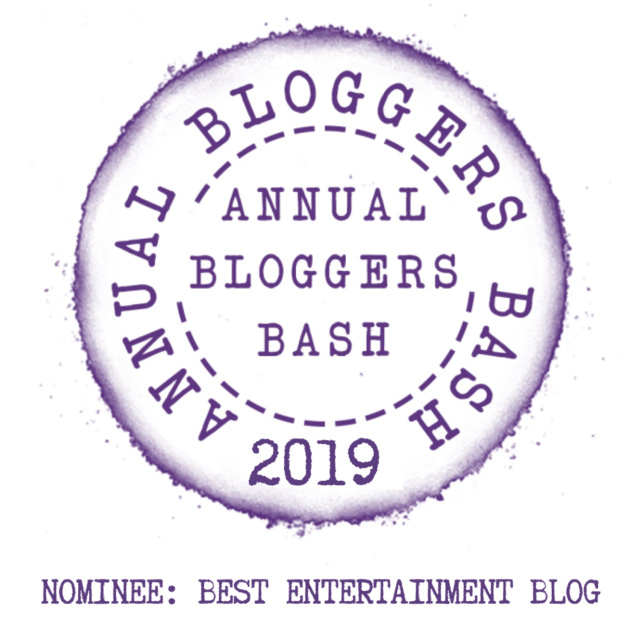 I watch the current presidential election with a mixture of sadness and fascination – books will be written dissecting what happened to American politics in 2016. The political climate this year is close to toxic, a sideshow where serious issues are tossed aside in exchange for yelling, insults and sexual innuendo. I Don’t Blame The Candidates! This post isn’t about a specific political view, or about any one Candidate – this is about how non-stop cable television coverage has influenced how we get our news. After all, TV is about ratings. Donald Trump gets ratings. Yelling and insulting each other gets viewers. So, in our business, when your show gets a number, you order more episodes! I do NOT blame the candidates. No matter how you feel about their actions, their accusations or their integrity, we have the ultimate choice – DON’T VOTE FOR THEM. Our past is littered with presidential campaigns that have gotten down and dirty – but today’s media atmosphere lets the world hear everything live! 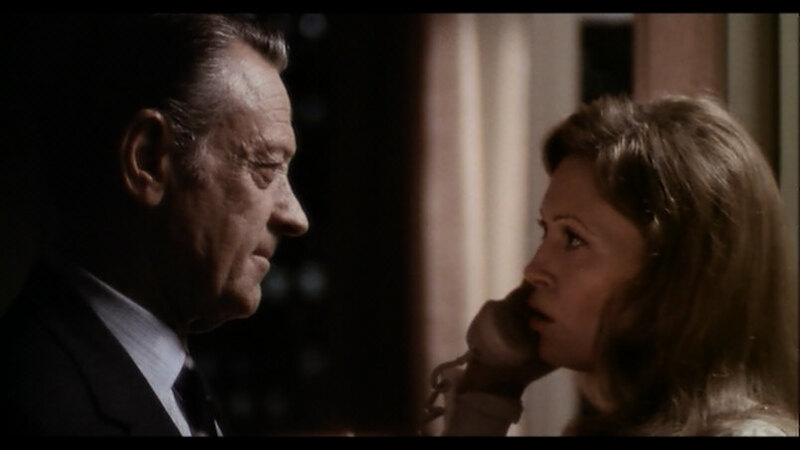 This brilliant indictment of television news was Oscar-nominated for Best Picture in 1976 – with an oscar-winning script by Paddy Cheyefky that saw the sordid future of TV – which has come true. This is a brilliant dissection of a business just waiting to be perverted by greed, money – and ratings. The movie won a slew of Oscars in 1976, including Peter Finch as Best Actor – his nomination and award were posthumous. Finch became the first posthumous winner in an acting category. Faye Dunaway won Best Actress, leading to this legendary photo the next morning. Best Actress in a Supporting Role went to Beatrice Straight. Best Writing, Screenplay Written Directly for the Screen was awarded to the brilliant Paddy Chayefsky. 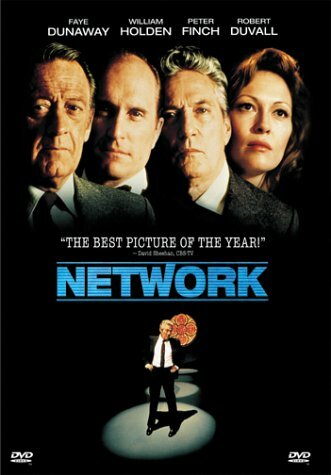 Watching this movie again, and seeing how network news is imagined with live horoscope readings and much more, only makes me wonder what Chayefsky would think if he was with us today. ‹ Todd Is “Tortured!” Todd Rundgren’s Hilarious “Bang On The Drum” Hit! Record Label Swan Song! The Terrific “Ever Popular” Goodbye to Bearsville! I haven’t seen ‘This Town’, but the others are classics indeed. Much the same as our parliament in Westminster, John. Though more obvious over there perhaps.